Earn 20 PDUs for $149, Regularly $179. Save $30 through April 30, 2019! Whatever you may wish for as a project manager, the reality is that you have to work with the project sponsor you are given. 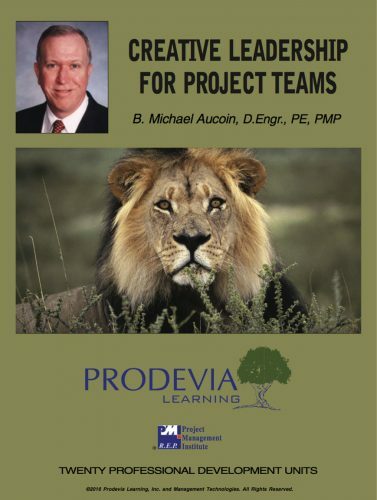 This course offers project managers a range of practical techniques to get the best out of their project sponsors. It also demonstrates the value a good sponsor brings to projects and to the businesses he serves. 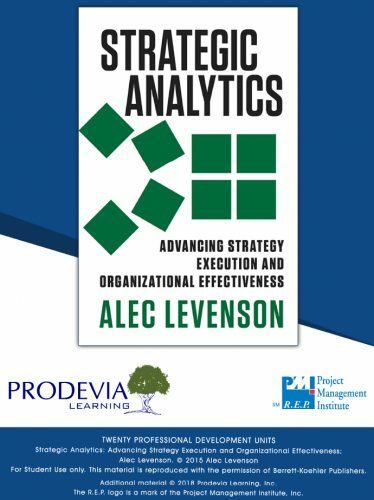 Strategies for Project Sponsorship is based on research across all three communities: project managers, project sponsors, and executives. 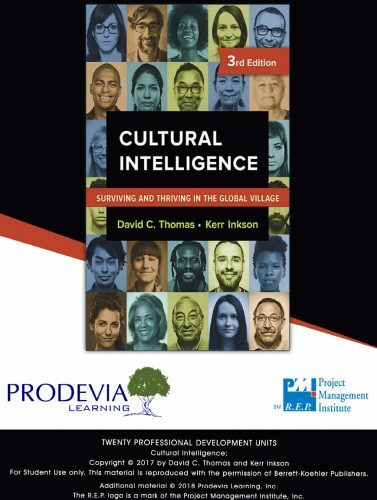 This course explores the important part that project sponsors can and should play in project success and why executives need to take the sponsorship community within their organizations to the next level by investing in support, development, and guidance. 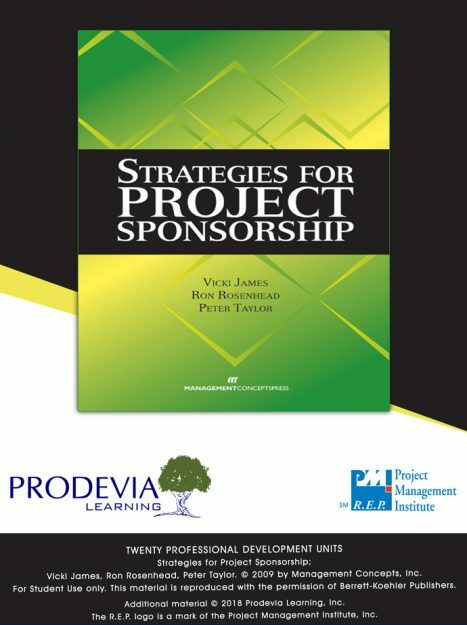 Strategies for Project Sponsorship offers project managers, project sponsors, and executives insight into the key role of the sponsor as well as methods for building a relationship between project manager and sponsor. This course provides examples from real-world experiences, as well as tips, techniques, and tools to help you get the most out of your project sponsor. Articulate the importance of project sponsorship to the organization, project manager, and project itself. Explain the importance of the role of project sponsor by prioritizing the role of effective project sponsorship within your organization. List the strategies one could use in working with a challenging sponsor. 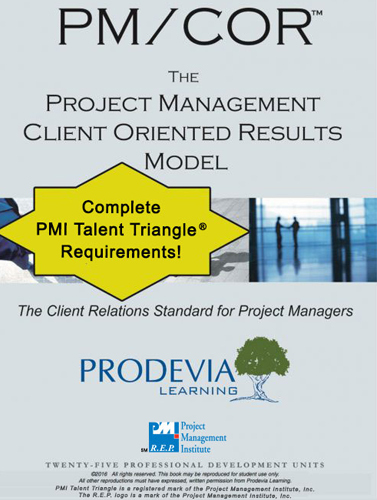 Outline the responsibilities and best practices of a project sponsor. Identify methods to develop successful sponsors. Identify top five secrets from the “50 Secrets to Being A Good Sponsor” to implement in your organization. Credit: 20 PMI® PDUs, PMI Category A / 8 Technical, 9 Leadership, 3 Strategic.